You will be sitting on the floor, so bring a yoga mat, sheepskin, meditation pillows/cushions, etc. to make yourself comfortable to sit for long period of time. Chairs will be available for people with special needs. 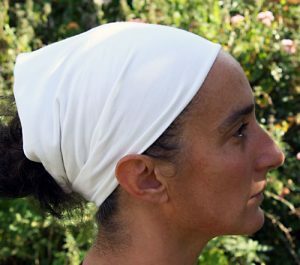 Recitation of Japji Sahib (and any of the bani or kirtan from any portion of the Siri Guru Granth Sahib, the Sikh scripture) is considered sacred and the proper protocol is to cover your head when reciting. Since we will be reciting Japji throughout the course, please bring a head covering to wear. Any written materials (i.e. prayer books or paper sheets) with the written words from the Siri Guru Granth Sahib, the Sikh Scripture, are considered sacred and the proper protocol is to treat them respectfully. For example, never place them directly on the floor and Nitnems (prayer books) should be covered when possible. Dasmesh Sadan in Anandpur Sahib is a vegetarian facility. You are requested not to consume any food items containing meat while you are on the premises. Thank you. 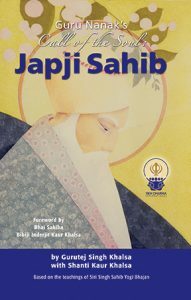 In this book, each section of Japji Sahib is explained from a spiritual, as well as historical, perspective and enhanced by the teachings of Siri Singh Sahib Yogi Bhajan. 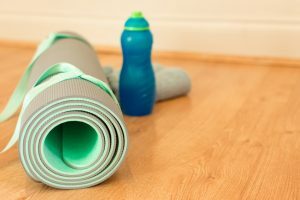 Drawing on the wisdom and spiritual clarity that Yogi Bhajan shared, we have included portions of his lectures about the various paurees of Japji, highlighted with kriyas and meditations that amplify the experience of Japji. Each Pauree chapter is illustrated with beautiful full-color paintings by Sewa Singh and Sewa Kaur. There is a Pronunciation Guide to help beginners with the correct pronunciation of these sacred words and a glossary to further explain them. It is our sincere prayer that this book will open you up to the miraculous wonder of Japji Sahib.